Andy's Workshop - Frontierville Express - More Than Just A News Site: The Moral Of The Story? Hedonism. Welcome... please sit down in a circle and attempt to fold yourself into the lotus position while I expound upon philosophy, as I have had something of an epiphany this morning. I was, as many are right now, thinking of the Canning Missions and I realised that the whole mission thread has a moral to it, a small game lesson, if you will. I don't mean half naked toga parties in a dodgy Ibiza club (although that would probably take our minds off the missions) but the deeper philosophical idea that spawned the name. "Hedonism - Philosophy: The belief that pleasure is the driving force. Tenets include that we should live for the now as we do not know what the future holds." When it comes to Frontierville we really need to start living in the NOW, and not spending so much time looking at or worrying about the future. For ages now I've had a bundle of adult cows and pigs on my homestead. The pigs were for the expansion and I can't even remember what the cows were for, possibly to get leprechauns? Not a clue, I'm fairly sure they were around long before that. ...waiting for something that may never come and totally ignoring the complete lack of logic in the situation. I could have grown and sold up to 10 sets of pigs in the time those have been stood around making the place look untidy. I could have grown oxen or crops... anything that would have been constantly getting me in food. But I didn't. I waited in fear of having to delay completing a mission for a few days. I finally sold all those cows and pigs this morning and picked up 2'000 food or thereabouts. This annoyed me slightly, made me annoyed at myself. Let's say between first growing them and now I could have grown and sold another 5 sets of the cows and pigs. That's 10'000 food that I've missed out on because of fear and impatience. I'm not happy with me for that. To use another example... The cautionary tale of the 37s Expansion and Peanuts. 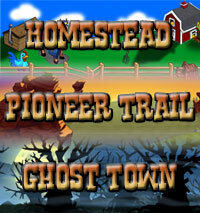 Many folks had 100 peanuts planted on their homesteads ready for the expansion on March 1st, which never appeared. In fact for non-horseshoe customers nothing happened until March 24th instead. A lot of those people kept their peanuts ready for the expansion, secure under a wither protect. Let's do the maths. In 24 days they could have harvested and replanted 7 loads of Peanuts and still had the final batch ready to go on the day the expansion came out properly, that's 3'500 food right there. Again food some folks missed out on because we were all too busy looking forward and not wanting to wait a few days for them to grow once the Expansion did arrive. We need to learn to be hedonistic in this game, THAT is the lesson the Canning Missions are teaching us. We need to take the missions as merely part of the game. We need to stop letting the missions tell us what to do and dictate our lives. Stop being scared that we'll disappoint the missions by not doing them straight away, they're there for US, not the other way around. We need to stop planning ahead to finish a mission as soon as it arrives (and then be bored), just live for the now. Worried about selling those pigs because a future mission might need them? Just sell them, it takes 3-4 days max to regrow them to adulthood, a bit of waiting never hurt anyone. I reckon by living in fear of future missions and keeping adult animals around that I don't need I've probably cost myself uncountable thousands of food. I need to live for the now, I need to enjoy the game for what it is at that exact moment I'm playing it. Unlike life we may know what the future will bring a lot of the time in Frontierville but that doesn't mean we have to plan for it and whittle our gaming lives away by waiting for it to arrive. The whole point of hedonism is to raise your happiness and pleasure by doing what you can RIGHT NOW that makes you happy, and from now on, that's how I'm going to play this game. I'm still planning on being alive and being a Frontierville player in six months time. If it's taking me that long to complete missions? So be it, I bet I'll have still had fun along the way. 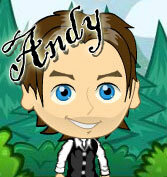 TY Andy.....im on my way to the frontier to sell pigs!!!!!!!! Well I don't think it is Hedonism to plan for the future, and that amount of food is ridiculous. I am not going to do those missions and will continue to be a smart frontier person by not raising a ton of animals just to lose the food...makes absolutely no sense to me. THANK YOU!! !I am so happy to see thing's in a NEW light!! I'm gonna sell some beasties... By the way What about ALL THOSE WHITE BUFFALO???? ?